Hospital Grade power cords available in custom lengths and shielded versions. 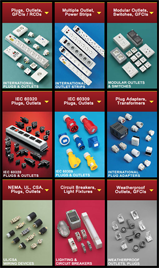 Hospital Grade plug and connector color options available. Left or right angle Hospital Grade power cord IEC 60320 C-13, C-19 available on some Hospital Grade power cords.